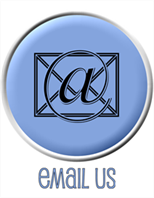 To contact the pixels2Pages team, you can email us directly at info@pixels2Pages.net. One of us will answer you as soon as possible. We do our best to respond to all weekday messages within 24 hours; please have realistic expectations. Before emailing us, please review the options below and choose the best option for your needs. Many questions have been answered for you already, and you won’t have to wait for a reply. * Please note that we do not have access to your payment information on PayPal, or any other financial information. If you have not found the answers to your questions on any of the above links, email us on info@pixels2Pages.net. Please include your full name and your p2P user name (if you are a member) and be as specific as you can about your question. Please include screen shots if they will help illustrate the problem you are experiencing.